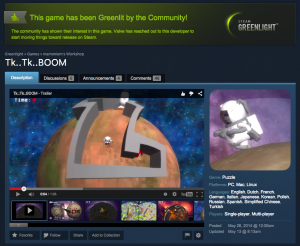 Perhaps you would think now I’m lucky or happy to pass the greenlight! But in fact no. I’m the most Lucky and The most Happy one right now ^_^ to pass the greenlight with two games with couple of months in between; thats enough to power me for another few rounds. I was so frustrated, not because the greenlight, but because my career in general, but that pass just came on time. Both games will be shipped soon, I have done half the implementation of the steam SDK for both, but have an issue related to the submission itself. Once it is fixed, consider the games out.